On the Lookout for New Meeting Places! We are always looking for new places to cover. We understand that an hour means an hour, but that doesn’t help our members when the hour ends at 5pm and they don’t leave work until 5:30. Or if you know the owner or management team that would extend prices for us, that would cool too. We know about the places on the Strip and a few local bars, but where are some of your favorite places to go that have not been featured on Buzzfeed or flipped in a Bar Rescue? Let’s face it, were not everyone’s cup of tea, so the less hoity, is the best for our toity. But if this place is something that we should definitely see, we will give it a try and stay on our best behavior. We try to never visit the same place twice. Check out the Past Meetings page to see where we’ve been. (Yes, we know it hasn’t been updated, we’re working on it!) The Calendar page also has some past locations. That’s about the gist of it. If you would like to host a meeting, drop us a line! We’d love to have more members! Join us at our next meeting! CLICK HERE to reserve your spot at the bar! Keep Calm and Have a Drink! We put this question to our Host and Hostesses. 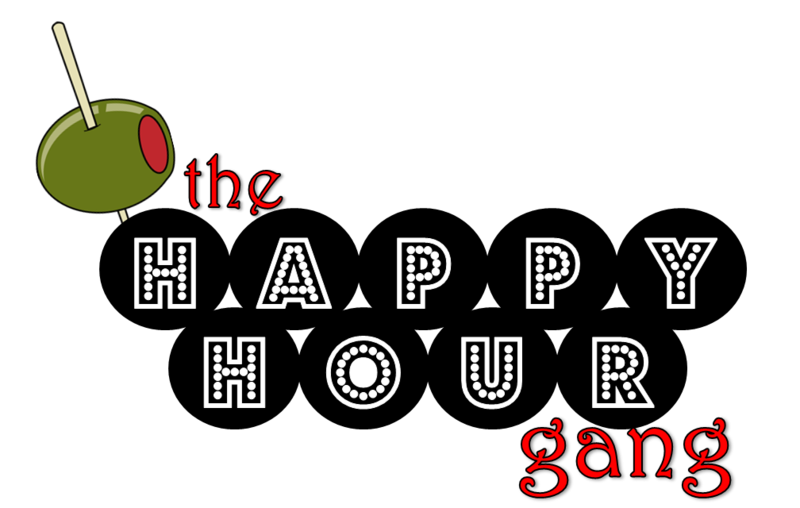 Tonight was the first planning meeting of the Happy Hour Gang. But due to illness, work, and new jobs I was the only one to show up. This amazing little bar is hidden behind smoky glass and a steel door and if you blink you may miss it. Tonight’s crowd was small, as it is a Monday night, but everyone is pretty friendly and ready to share a story or two. This month’s brew is Kronenbourg 1664 Blanc. It’s wonderfully light and refreshingly orangey. The last bit of the beer changes flavor with the yeast that settles at the bottom. I highly recommend it when you stop in! 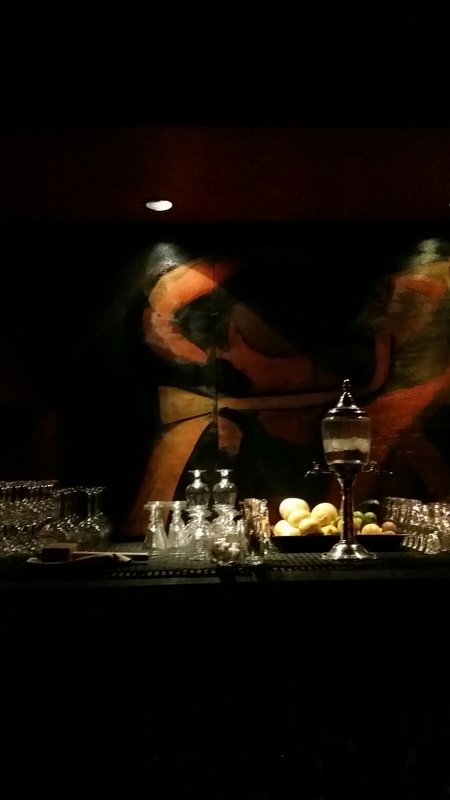 The bar itself is dark and cozy, with wonderful couches and is lit by red votives. It’s truly a locals bar, but some visitors will find it while waiting for a table at a restaurant. Such as the guy from Montana who lives in a town that has more Irish residents than Boston. I said people like to share stories! Stop by, their happy hour is 4 to 8 pm. 111 S. Las Vegas Blvd. It was a dark and stormy night, when she walked into the bar. It was small swanky and filled the usual characters that are associated with a joint like that. She looked around until she saw him. He smiled a smile that can only mean one thing, trouble. Ok , so it wasn’t raining or storming when I arrived at The Mob Bar, but it was swanky and there was a guy in there that had a smile that meant trouble. It was only The Jerm, our host for this month’s meeting, waiting for everyone to arrive. We were excited to see what he had in store. First up was a questionnaire with great mob questions like: “Where in Vegas is the best place to hide a body?” and “Who in the group would be the best hitman?” the best part was the best Mobster impression! The winner got 4 cans of Chef Boyardi and $7.56. into the spirit and dressed up, and the staff from the Mob Museum kept the place alive with laughter. Jazz music spilled over you while photos of screen starlets watch you drink. My favorite was the Espresso Martini, made with Van Gogh Double Espresso Vodka, Absolut Vanilla Vodka, Bailey’s, Irish Cream, and a Shot of Espresso. Be careful on these, you can drink two without a second thought! Yummy! You can see their full menu on their Facebook page. Food at the Mob Bar is provided by one of my favorite places to eat downtown, The Triple George Grill. We feasted on Clams Casino, Spaghetti & Meatball Bites (a favorite of Panda P’s and Bloody Maria), Caprese Salad and the Chicken Parmesan Sliders – Paddy Wagon swears by them! The prices are reasonable and the portions are enough to share with one person, so order two and you’ll be set. reservations to really make you feel like a Mob Boss; just confirm with them a day prior to jog their memory. The bartenders were dressed with white shirts bow ties and barters around their arm, but it was kind of sad to see that the wait staff was not dressed as they were highlighted on their FB page. All in all it was a unanimous decision that the Mob Bar meeting was a huge success and we don’t want to see this joint swimmin’ with the fishes. If you get my drift! So if you know what’s good for yous…take the offer.